Royal Scotland - A self-drive adventure! Arrive in Scotland today. 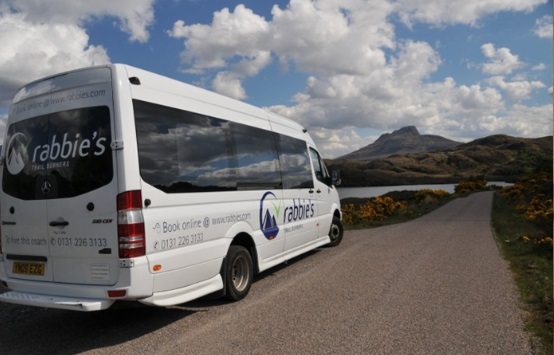 A private transfer will take you to your prebooked Edinburgh hotel. Your first night will be spent in Edinburgh where we would recommend some visits that have a very firm royal connection. Of course there is Palace of Holyroodhouse, the official residence of Her Majesty The Queen on her visits to Scotland. Or there is also the Royal Yacht Britannia which has provided a home on the sea to the Royal Family on their travels. The Yacht is berthed in the Port of Leith and gives a great insight into Royal life. Overnight in Edinburgh. Enjoy a free day in Edinburgh where you have so much to explore. With its stunning Georgian and Victorian architecture, and winding medieval streets, it’s easy to see why Edinburgh has been listed as a World Heritage Site. 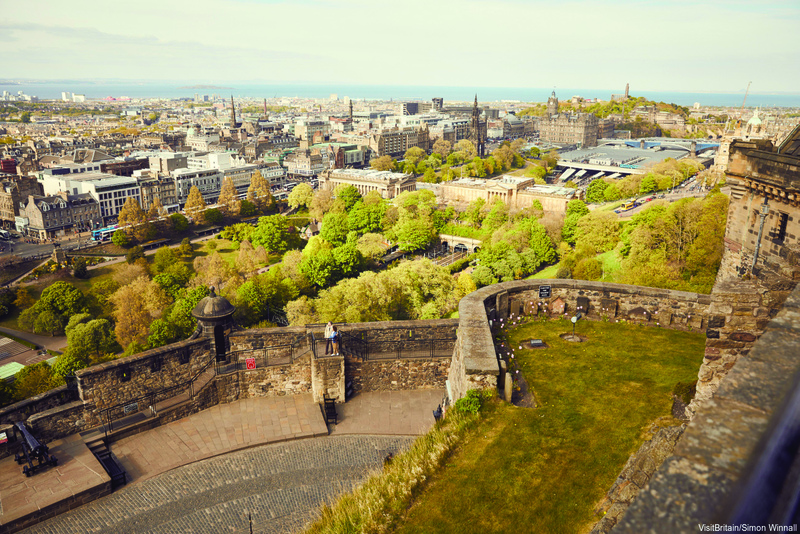 The setting is captivating, Edinburgh Castle dominates the urban skyline, perched atop the crags of an ancient volcano right in the centre of the city. Yet Edinburgh is not stuck in the past and the city is not all about bagpipes, shortbread, whisky and tartan. In fact, the city is one of the most vibrant, cosmopolitan cities in Europe and is regularly voted as one of the most desirable places to live in the world. 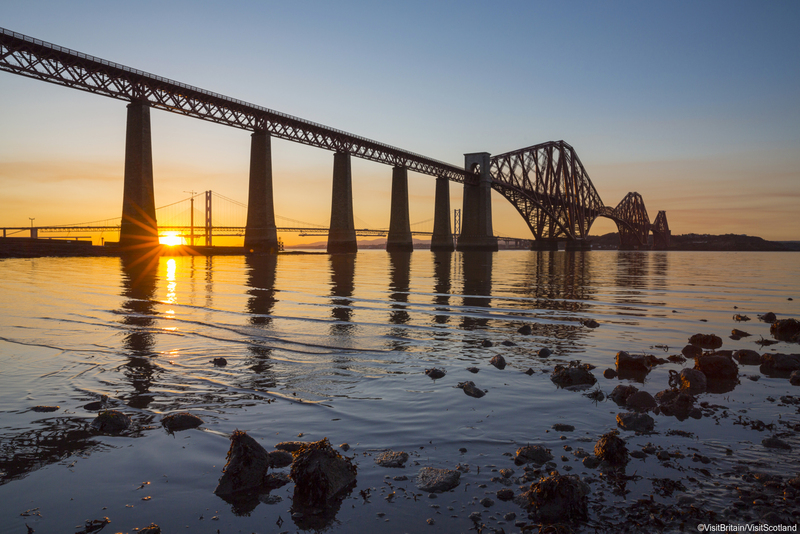 Leave Edinburgh this morning and head over The Queensferry Crossing, into the ancient Kingdom of Fife. From the bridge you will enjoy views of the “Forth Rail Bridge” and the old “Forth Road Bridge”. We recommend that you travel the coastal route to St Andrews, this will take you through some of the beautiful fishing villages. St Andrews has an ancient history - named after the patron saint of Scotland and said to be the final resting place of his remains. It is also widely known as the birthplace of golf and more recently the location where the young royal couple William and Kate met and fell in love while attending St Andrews University. Whatever your interest, there is a lot to see and do in this charming place. Later in the day leave St Andrews and head north west into Perthshire. Overnight will be in Perthshire area. 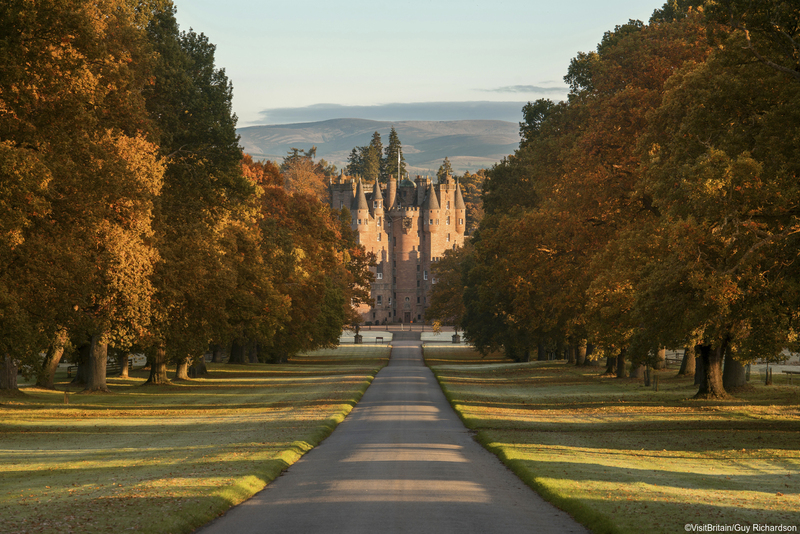 This morning we would recommend a visit to Glamis Castle. Glamis Castle was the childhood home of Elizabeth Bowes - Lyon, best know as Queen Eliza-beth, the Queen Mother. Her second daughter, Prin-cess Margaret, Countess of Snowdown, was born in the Castle. Did you know that since 1987 an illustration of the castle has features on the reverse side of the Royal Bank of Scotland’s ten pound notes. Later that day, follow the A93 to Blairgowrie through an area known as ‘Royal Deeside’. The road now climbs steadily through the skiing reigns of Glenshee towards Braemar. You will pass Crathie where you can stop to see the church where the Royal Family attends Sunday ser-vice when on holiday at Balmoral Castle. You can also visit Balmoral Castle but check in advance regarding opening times as the Castle is closed to visitors if the Royal Family is in residence. Overnight in the Royal Deeside/Aberdeenshire area. Travel today through the Grampian Mountains, along the A939, passing Tomintoul, the highest village in Great Britain, and onto Grantown on Spey. Here you can visit one of the many whisky distilleries in the area. Continue onto Nairn, a popular seaside resort famous for its golf course and beautiful sandy beaches. Time permitting you may wish to visit Cawdor Castle. The Castle is best known for its literary connections to William Shakespear’s Scottish Play - Macbeth - the title character of the play was made Thane of Caw-dor. The castle itself was built many years after the events of the play. Overnight in the Inverness area. Leave Inverness and drive south. Follow the shores of Loch Ness - the most famous loch in Scotland. You may wish to stop at Urquhart Castle on the shores of the Loch. The castle is where most sightings of the famous Loch Ness Monster “Nessie” are reported. Continue along the A82 along the Caledonian Canal to Fort Augustus. Just before Fort William make a little detour to Glenfinnan along the A830. The Glenfinnan Monument is situated on the scenic “Road to the Isles”. Set amid superb Highland scenery at the head of Loch Sheil, it was erected in 1815 in tribute to the clansmen who fought and died for the Jacobite cause. Despite its inspired beginnings, the 1745 campaign came to a grim conclu-sion on the Culloden Battlefield in 1746. You can find out more about Bonnie Prince Charlie’s campaign at the Visitor Centre. From here continue via Fort William, situated at the foot of Ben Nevis Britain’s highest mountain and Loch Linnhe before stopping overnight in the Oban area. Travel south from Oban through Kilmartin Glen. Kilmartin Glen is located between Oban and Lochgilphead. The glen is home to more than 350 ancient monuments within a six metre radius of the village, with 150 of them being prehistoric. Spend time at Lady Glassary Wood - site of standing stones and the Temple Wood stone circle. Find out more about the area in the Kilmartin House Museum of Ancient Culture, locat-ed within the town itself. In the south of the glen you will find the remains of the fortress of Dunadd, marking the royal centre of Dalriada where ancient kings were crowned. Later follow the shores of Loch Lomond, the largest and perhaps most beautiful of all Scottish Lochs through the Trossachs region, passing Drymen and Aberfoyle. Overnight in the Trossachs area. Travel to Edinburgh via Stirling and return your car at the Edinburgh location. 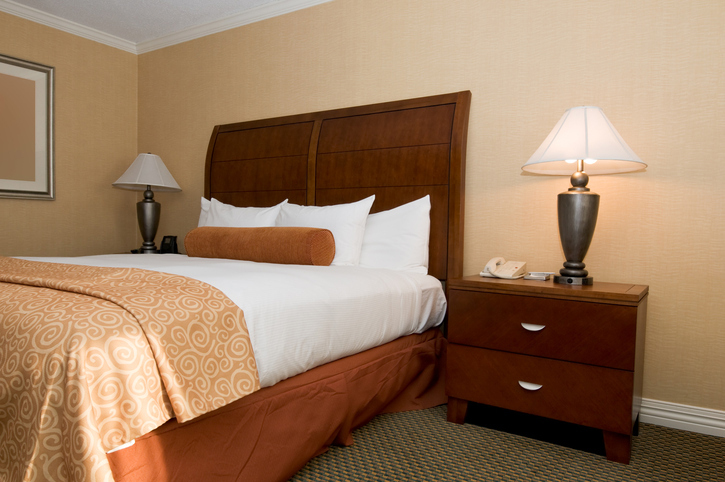 Make your way to your pre-booked Edinburgh hotel. To Book Airfare, please visit our Vacation Builder.